MOORESVILLE, N.C. (July 12, 2011) – Accell Construction announced that the Oklahoma-based construction company added the Pure Michigan 400 to the company’s five primary and five associate race deal with Tommy Baldwin Racing (TBR). 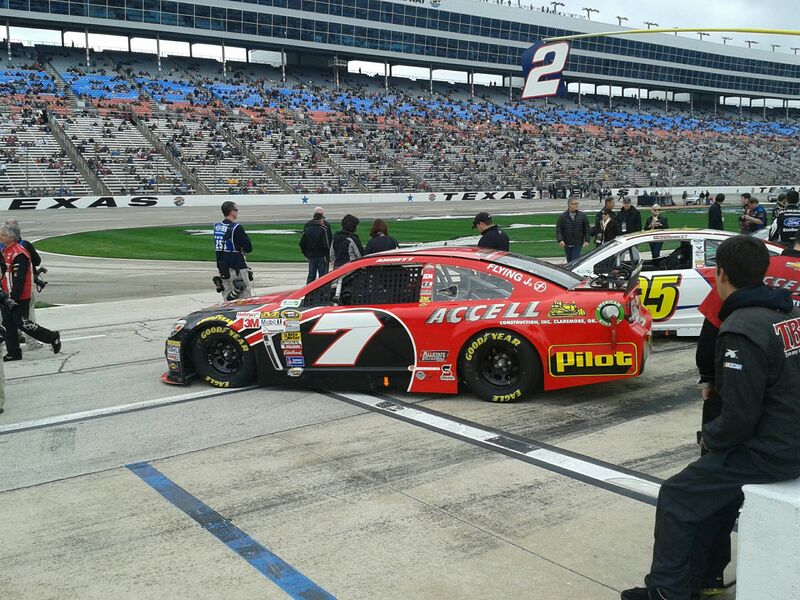 Dave Blaney will pilot the No. 36 Accell Construction Chevrolet at Michigan International Speedway Sunday, August 21st for Accell Construction’s six primary race of the NASCAR Sprint Cup Series season. 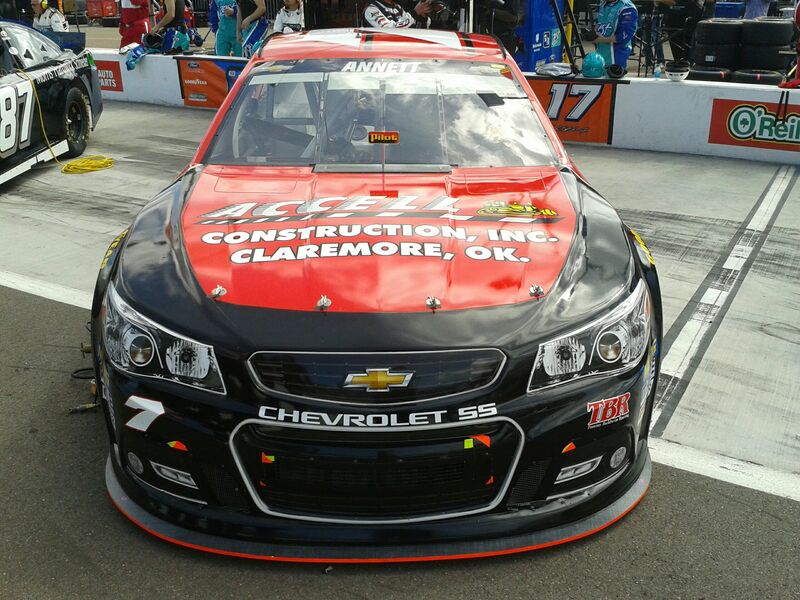 Dave Blaney will get back behind the wheel of the No. 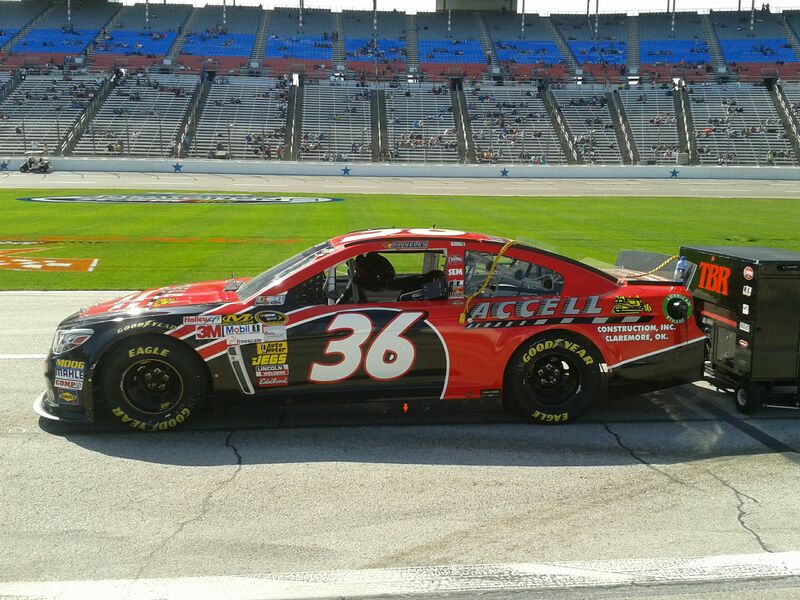 36 Accell Construction Chevrolet for Tommy Baldwin Racing (TBR) this weekend for the Pure Michigan 400. 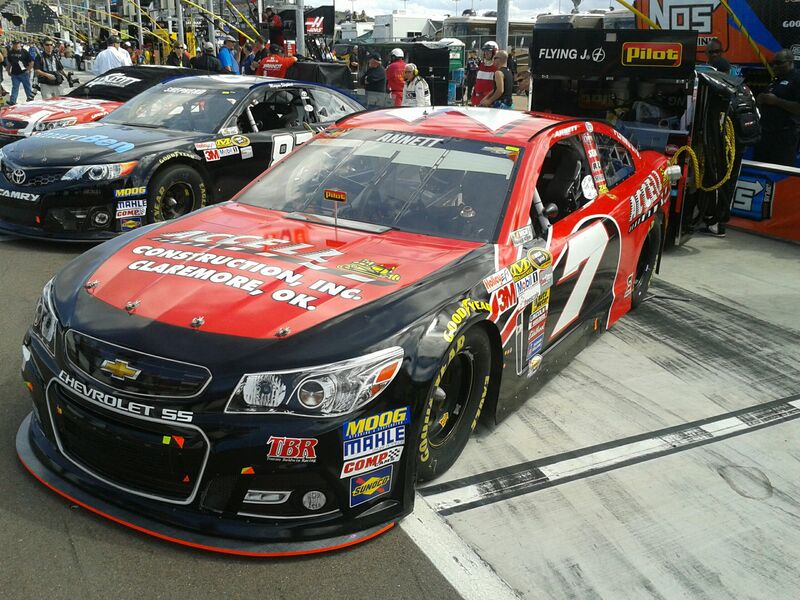 This will be the NASCAR Sprint Cup Series’ (NSCS) second start at Michigan International Speedway this season. 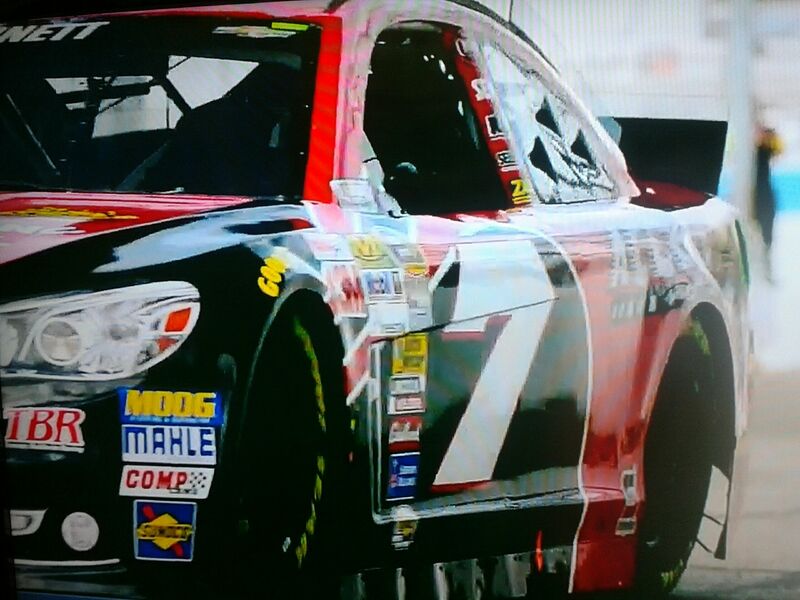 TBR AT MICHIGAN – The Heluva Good! Sour Cream Dips 400 will mark TBR’s third start at the 2-mile speedway. Blaney drove to the team’s best finish of 34th this June. BLANEY AT MICHIGAN – Blaney will make his 22nd start at Michigan International Speedway this weekend. In his 21 career-starts, he tallied two top-10 starts and three top-10 finishes. The Buckeye Bullet scored his best finish of sixth twice (August 2001 and 2007). Tommy Baldwin called the shots to his sixth-place finish in 2007. He drove to his best start of fourth in June 2001. LAST MICHIGAN EVENT – Blaney started the Heluva Good! Sour Cream Dips 400 from the 42nd position. 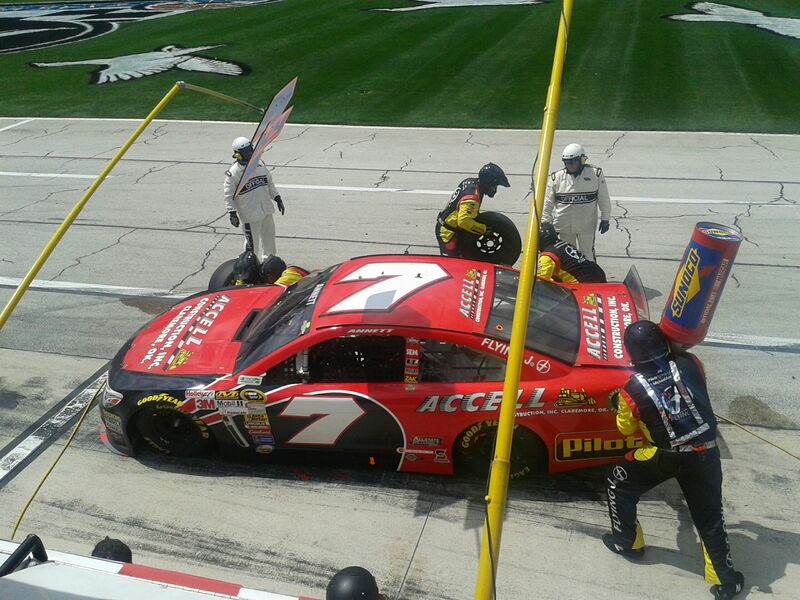 A pit road incident during the first pit stop caused damage to the No. 36 TBR Chevrolet and relegated the team to a 34th-place finish at Michigan International Speedway. ACCELL CONSTRUCTION – Accell Construction will return to the No. 36 Chevrolet this weekend for the STP 400. Short for acceleration, Accell Construction has a 20-year history of finishing civil construction projects on time or early. 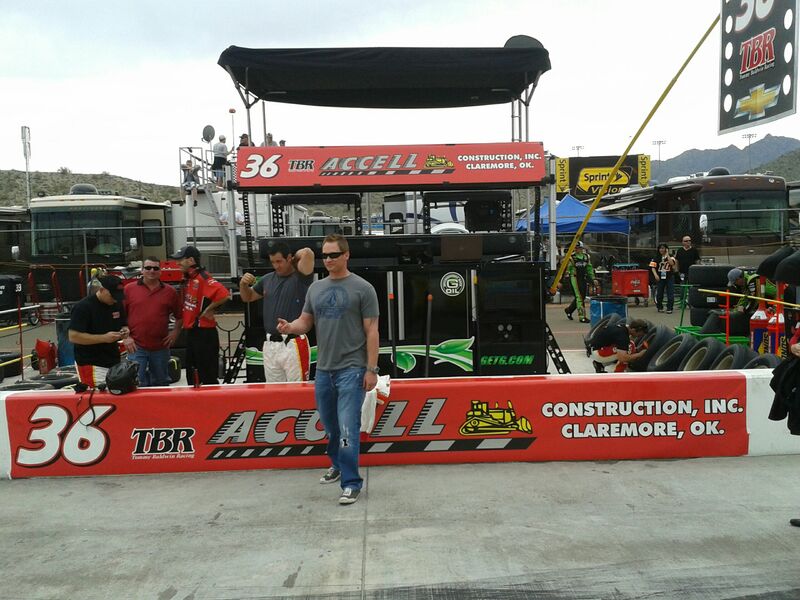 The Oklahoma-based company sponsored TBR at Phoenix, Las Vegas, Bristol, Texas and Kansas this season. For more information, visit accellconstructioninc.com. KIDS EAT FREE – TBR will compete to feed America’s families again this weekend. If the No. 36 Accell Construction Chevrolet finishes in the top-10 in the Pure Michigan 400, kids eat free (with an adult purchase) on Monday, August 22nd. Golden Corral will also donate $5,000 to the DAV. CHASSIS NO. 556 – TBR will bring chassis No. 556 to Michigan International Speedway for the chassis’ debut. SPRINT SUMMER SHOWDOWN – Sunday’s Pure Michigan 400 is the fourth race in the Sprint Summer Showdown presented by HTC EVO 3D. Any driver who wins between Indianapolis and Bristol will become a finalist for the AdvoCare 500 in Atlanta. If one of those eligible drivers wins the Atlanta race, then the driver, the driver’s charity and fan each collect $1,000,000. Blaney’s charity of choice is Camp Corral. For more information on Camp Corral, visit www.goldencorral.com/campcorral/. LAST RACE RECAP: HELUVA GOOD! 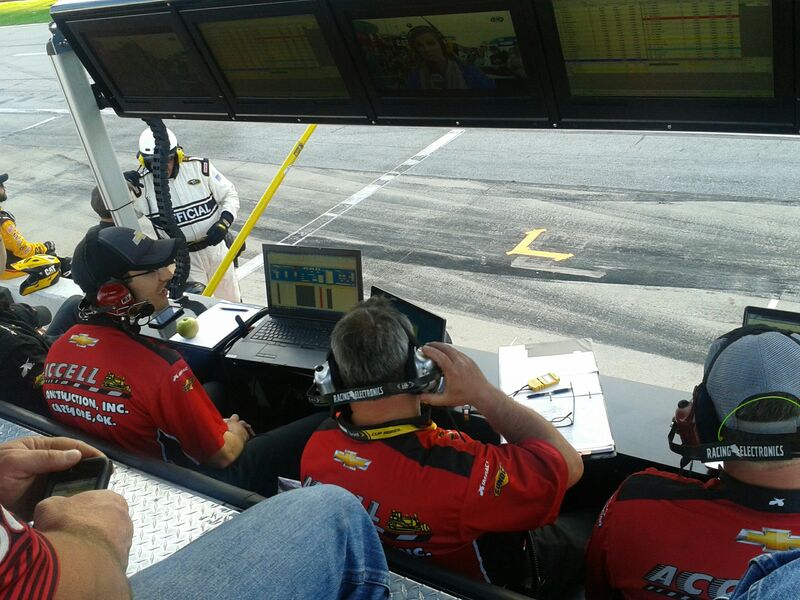 SOUR CREAM DIPS AT THE GLEN – After a rain delay on Sunday, Ron Fellows started the Heluva Good! Sour Cream Dips at The Glen from the 38th position on Monday morning. The TBR team worked on the handling of the No. 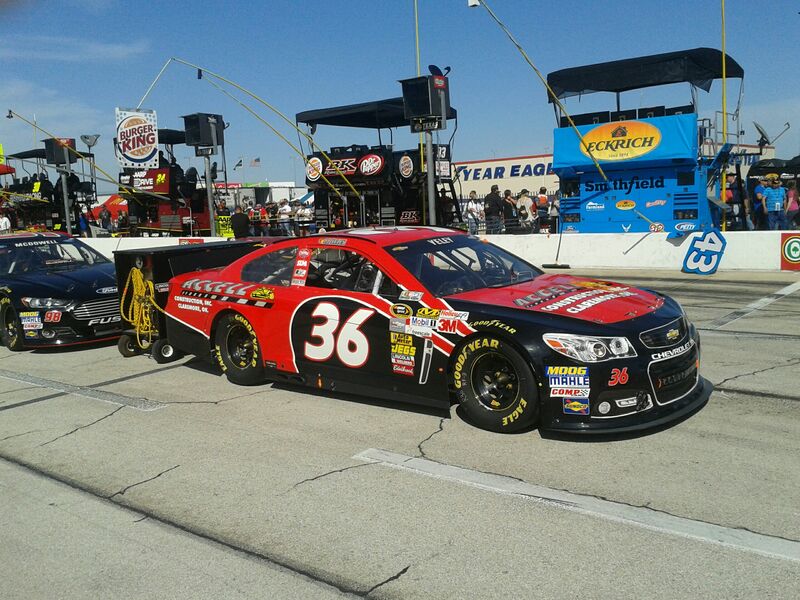 36 Golden Corral Chevrolet for the 90-lap NSCS event. While racing in a green-white-checker situation, David Ragan and Boris Said made contact and collected Fellows in the aftermath. 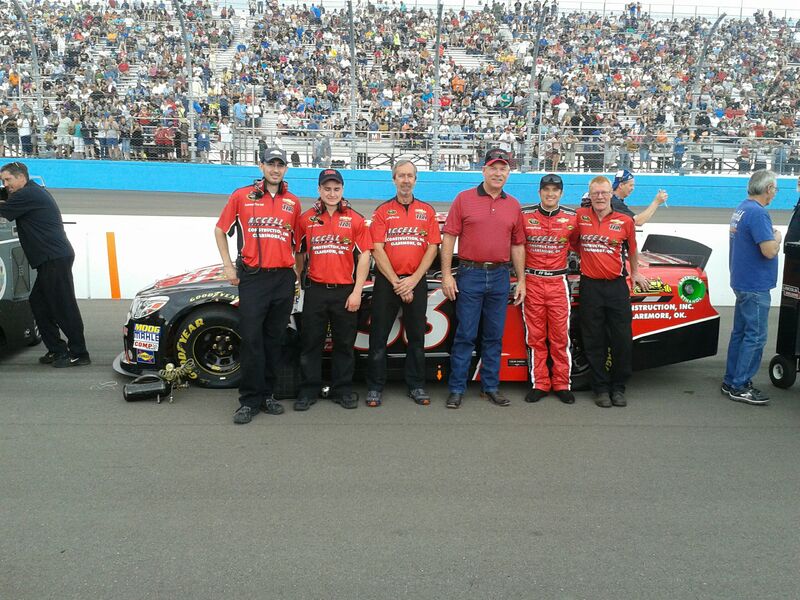 Fellows was treated and released from the care center and had to settle for a 30th-place finish. IN THE POINTS– The No. 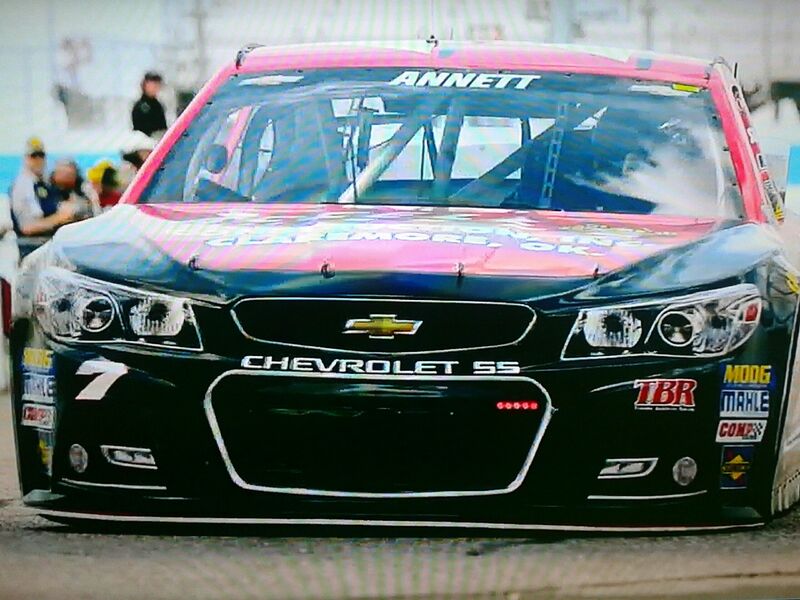 36 Accell Construction Chevrolet is still 32nd in NSCS Owner Points, 73 points behind the No. 34 in 31st. The team is two points ahead of the No. 13 in 33rd and 49 points ahead of the 36th spot held by the No. 7. Blaney fell to the 32ndposition in NSCS Driver Points, 12 points behind Casey Mears in 31st and 32 points ahead of Andy Lally in 33rd.